Ticket Puller Review: This Has To Be A Scam! Did you know you can get paid to “pull tickets” to shows, concerts, and sporting events. Ticket Puller is a site that’s been around for a few years now, but I just came across it last week and decided to write this review. Basically as a ticket puller you’ll be purchasing tickets in bulk, you’ll earn a percentage of each ticket, and you don’t pay a dime or give out your credit card information. If you have a flexible schedule this can be a good way to make some extra side cash! In this Ticket Puller Review i’ll cover the requirements, how it works, how much you can expect to earn, and is it legit. The only real requirements to become a puller is live in the US and be 18 years old. You will need a computer and high speed internet connection that will be tested before you’re approved. The application consists of filling out personal information like demographics. You’ll also need to sign an agreement saying you won’t give out any information about what tickets you’re buying and a no compete clause. You’ll also need to complete two tests. One, a mouse test where you click as many bubbles as you can and a typing test where you type as much of a document they give you in 60 seconds. This completes the application process and should only take you a few minutes. TicketPuller will get back with you if you’re accepted or rejected, most people say it’s within a few days, but others report 2 weeks or longer, but they will eventually contact you letting you know! How Does Ticket Puller Work? Once your accepted you’ll be notified by email when pulling sessions are available. During a session it’s your job to find tickets that clients are looking for and purchase them as fast as possible. This isn’t as easy as I figured it would be. Supposedly tickets not only need to match the criteria, but you’ll have to get the transaction approved by a TicketPuller employee before purchasing. The key is being as fast as possible. Once you get the transaction approved you’ll buy the tickets with the payment information they provide. You’ll get paid a percentage of the total price of tickets you purchased during the session. How Much Does TicketPuller Pay? TicketPuller pays 5% of the total amount of tickets you pull. For example if you pull 10 $100 tickets you’d earn $50. The exact amount you’ll earn really depends on how many tickets you can pull and the price, but you’ll be paid the flat 5% rate of the total amount. Ticket Puller does say that once you get experience your rate can be as high as 10% with some extra bonuses for the best pullers. On their site they say a typical ticket pulling session is 15-30 minutes and most members make $15-$25 in that time frame! After a session you’ll be paid your commission via PayPal, payments are made within 48 hours most of the time, but can take up to a week. As you probably already figured out this isn’t a full-time job. Ticket pulling is only needed when tickets first go on sale. For this reason, some weeks you may have several sessions and other times you might go a month without any. A month or so before summer when concerts and events are popular seems to be the busiest time. TicketPuller really isn’t anything other than an easy unique way to make some extra income. If you have a flexible schedule this could be a good opportunity for you! How To Earn More With TicketPuller? I already mentioned that as you gain experience there’s bonuses and the rate you’re paid can get as high as 10%, but Ticket Puller also offers a referral program. Unfortunately they don’t give out any information about the referral program before you’re accepted. My guess is it’s a flat rate per referral when they sign up or a percentage of earnings. Either way it’s something that can help you earn more with Ticket Puller. Is TicketPuller A Scam Or Legit? 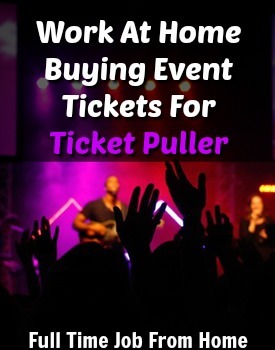 TicketPuller is a legit legal way to make some extra cash in your spare time. It seems that getting accepted isn’t the easiest thing in the world, but most members are very happy with the work. This isn’t something that keeps you busy or can provide a full time income, but if the pulling sessions fit into your schedule it can be a way to make a quick $20 or so. If you think you have what it takes to get accepted, check out TicketPuller to learn more about this opportunity. Pulling tickets isn’t the only way to make a few bucks in your spare time. 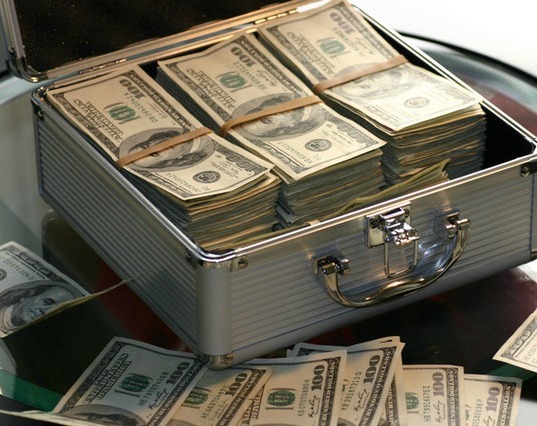 Here’s all the extra income sites I recommend. If you’re looking to build a large online income My #1 Recommendation is the way to go! Think TicketPuller’s a scam? Been A Puller Before? Let me hear your thoughts on this Ticket Puller Review in the comments below!